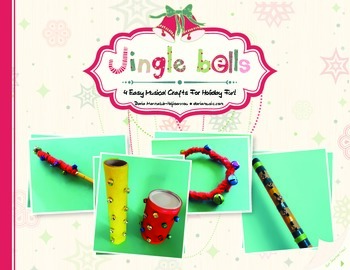 Who doesn’t love the sound of jingle bells? 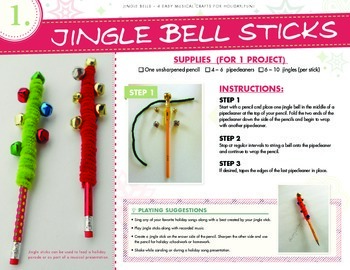 Creating any of these 4 simple projects for kids with on-hand materials allows any teacher or homeschooler to add music to a holiday celebration. Each of the four crafts presented here include photos, step-by-step directions and playing suggestions. 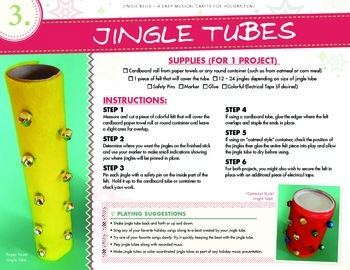 Also included with each craft are suggestions for simple games and musical activities as well as ways to integrate the instruments into group events such as chorus or school presentations. 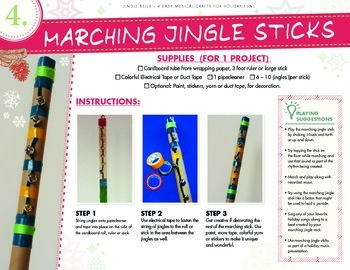 Crafts Included Are: Jingle Pencils/Jingle Sticks, Jingle Bracelets/Anklets, Jingle Tubes and Marching Jingle Sticks. CONNECT WITH ME AT DARIA MUSIC! Follow my TpT store for specials, sales, freebies and new items! Just click on the red ‘Follow Me’ icon next to my Seller picture.